I came across Jane McGonigal yesterday. Jane is a world renowned designer of alternate reality games. Which are games designed to improve our lives and solve problems. Jane suffered a head injury that spiralled her into depression and ultimately suicidal ideation. During this period she started to design a game that would help her to recover and fight back against the depression she had been experiencing. You can see her talk here at TED Edinburgh. Jane has created that game also created a website SuperBetter that is designed to help us achieve goals and build resilience. * Backed by science — neuroscience, positive psychology, and medicine. You’ll learn the science as you play. * Social — SuperBetter can give your friends and family an “aha moment” about what you’re tackling, and help them find ways to really support you. * A collective investigation. Everyone who is playing is helping to figure out new ways to get SuperBetter — for themselves, and for the entire community. * A powerful boost when you need it most. You don’t have to play SuperBetter forever. You play when you need it. It outlines a lot of tips that I use on my course in a fun and engaging manner. 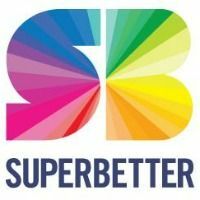 If you need a little boost and build your resilience at any time in your life then we really recommend SuperBetter. 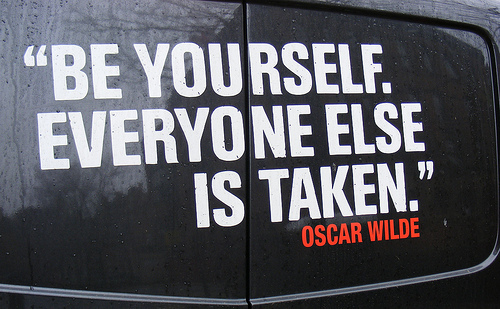 I saw this on Sonia Lakshman’s Blog http://www.happy-mondays.com and had to share it. We spend more money on car and road safety then we do on mental health. Yet in countries like Ireland the rate of road deaths are half the numbers that die by suicide each year. We have pitted Private sector workers against Public sector workers. Public sector workers are branded lazy while only 7 years ago public workers complained about the opportunities and bonuses that private sector workers enjoyed while public sector were seen as having sacrificed aspiration and a ride on the gravy train for a commitment to their jobs as Teachers, civil servants and Nurses. The people of Greece are portrayed as lazy. People who spent a two-week holiday on any of their islands can testify to witnessing an almost laid back enjoyment of life (how dare they)and a healthy life expectancy. The Irish drank, laughed and spent their way to oblivion. The Spanish and Portuguese spent half the afternoon in bed and the Italians are so corrupt it was bound to happen. All stereotypes that we have half the world conveniently thinking is true. All stereotypes that conveniently tell the rest of the world why working harder and more austerity are the answers. These are not the answers. Richard Layards Manifesto for Economic sense lays testament to this. Austerity does not encourage people to spend and contribute to society. Shops and business’s on our high streets have not all closed because they had poor business plans it is because the important cog in their financial wheel the customer is no longer in the wheel. Simple. No one is spending. Austerity also discourages companies to invest in economies because companies only invest in markets they can foresee customers with enough income to spend. Cuts in our public sector will do nothing to improve our economies. We only cut what seems unnecessary but is ultimately the most valuable. Imagine cutting 20% off every mortgage in the country. What would that do for a stagnant economy. People are scared to spend or simply can’t participate in everyday activities that they did before because the finances don’t allow. Austerity is a noose around all of our necks. Today I was presenting to a group of Mental health patients that have had their services cut. One member I will call Jeff came to me before my presentation and spoke of his mental health issues. Something hugely traumatic happened to him at a particular time in his life. Since that moment he has had panic attacks when he enters that reminds him of the trauma he experienced. I asked was he receiving any help for this to help erase the panic attacks. He said that he had received some Cognitive behavioural therapy but this had been stopped due to a cut in resources. He came to me because he had started to self medicate to numb the pain because he didn’t know where else to turn. Where are we as human beings if we feel that caring for our fellow brothers and sisters is no longer a priority and even though suicide rates in Ireland and particularly Greece have increased over the past 3 years we have more important matters to focus on like stabilizing markets, currencies and propping up financial institutions. Once again if we all asked ourselves when we walked out our front doors each day “What can I do today to make other people’s lives better”. This question should come from everyone, Government officials, Bankers, Fuel company Ceo’s, right through to the customer service representative that is there to help you get a better result from the service they provide. Until then…we are asking the wrong questions and ultimately forsaking what really matters…our people. I always start my programmes with the simple statement “What you focus on you get more of“. I apply it to everything. Why have some people a sunnier disposition to others? Just ask them where there thinking is focused on most of the time. Do they feel sad? I bet they do. Does life throw up some difficult moments for them? I am sure it does. Do they encounter the same setbacks we all experience? Yep! We all do, it’s part of life. But where is their focus on most of the time? Spend some time around positive, happy, optimists and you will find that their thinking is focused on all the wonders that they are blessed with in their lives. The beauty of being alive, the gratitude for the life and friends they have been given and the limitless possibilities of life ahead. We are not happy by chance. Studies show that 50% of our happiness levels are from a genetic disposition. 10% is down to environmental factors, home life, job, income, address etc. (Beverly hills is not the happiest place in the world funnily enough). 40% is down to the work we have done to increase our happiness levels. 40% is a big number. Imagine the changes we can make to our lives if we start to redirect our focus. We live in amazing times. Technology is amazing. I send a text and in seconds it is being read on the other side of the world. We can watch films and images on mobile devices as we travel the earth on planes that keep us in the air by means I am not sure of. We flick switches and lights come on where we live ( I don’t even know how electricity works). The sun comes up each morning and the moon arrives each night it’s all amazing. The world spins at just the right speed and gravity keeps us on solid ground. Each one of these things is amazing. When was the last time we focused on the wonders of our lives and the blessings we have. “What you focus on you get more of – Love it”. “I learned that I should try things that I have a fear of because it is better to conquer them”. Now all you have to think is what are you giving most of your focus to!